January 14th Sydney Australia Peter Dickson Solo@ Darling harbour festival 6-9pm . January 10th Sydney Australia Peter Dickson Solo@ Darling harbour festival 6-9pm . February 26th Manila PHILLIPINES Master class@ University of Santo. February 25th Manila PHILLIPINES Peter Dickson solo. Stonehouse 9.30pm . 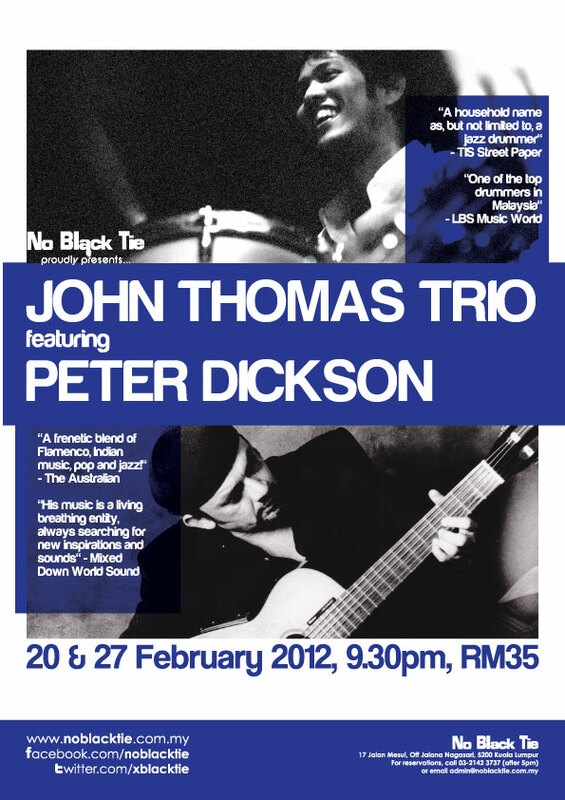 February 13th Bangalore INDIA Peter Dickson solo. 11pm. Opus 4/1st main. Palace cross rd. Chakravarthy layout. Bangalore. Oct 9th Sri Hartamas MALAYSIA Backyard Pub ,Peter Dickson Band , 9pm start. Recording the New Album "Second Thoughts"
November 23rd TOKYO Japan Guest appearance with Kanae Nozawa (Niko) album of traditional Japanese songs prduced by the famous Sony playstation music composer Noriyuki Asakura. November 17th TOKYO Japan Guest appearance with Kanae Nozawa (Niko) album of traditional Japanese songs prduced by the famous Sony playstation music composer Noriyuki Asakura.